Is Microsoft planning to release its own Android powered smartphone? Last year, Microsoft had discontinued its Windows 10 Mobile-powered Lumia series of phones, withdrew the Lumia project citing disappointing sales and exited the smartphone market. However, the company has not stopped creating or adapting software for Android and iOS smartphones to make their presence felt in the market. 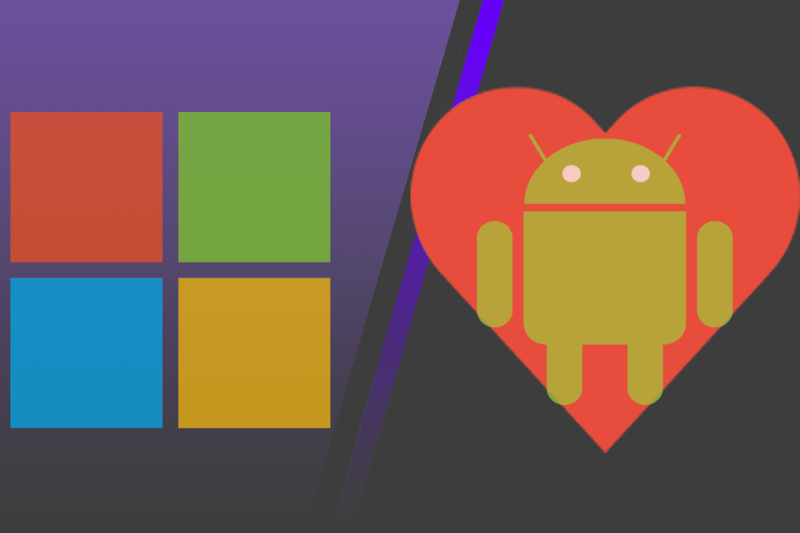 Now, a Microsoft Store employee (who wanted to remain anonymous) in a series of messages with a Windows Latest journalist has revealed that the Redmond giant is currently working on a new line of phones that will be powered by Google’s Android operating system and sold on Microsoft Store. Besides this, the representative did not disclose any significant information regarding the design or features of the handset. Journalist: Do you mean a new Windows Phone model? But Windows Phone has been discontinued. Journalist: it won’t run Windows 10 Mobile? Employee: It’s like a new edition for Microsoft phones. / It’s gonna be powered by Android that’s for sure. When the Microsoft Store employee was questioned if the Microsoft brand would be behind the phones, the employee said they will “be under our Wing” without giving any further clarifications. In other words, the smartphone would be sold under Microsoft’s own brand. Usually, Microsoft Store employees are not informed of the company’s secret plans regarding upcoming product launches. Also, it’s likely that he is referring to the Microsoft Edition Android phones from other OEMs that are already sold through the Microsoft Store. Hence, we suggest that you take this rumor with a pinch of salt, as there are high chances that the employee had incorrect information. Since, there is no official confirmation from Microsoft yet, it’s better we wait to hear it straight from the horse’s mouth.